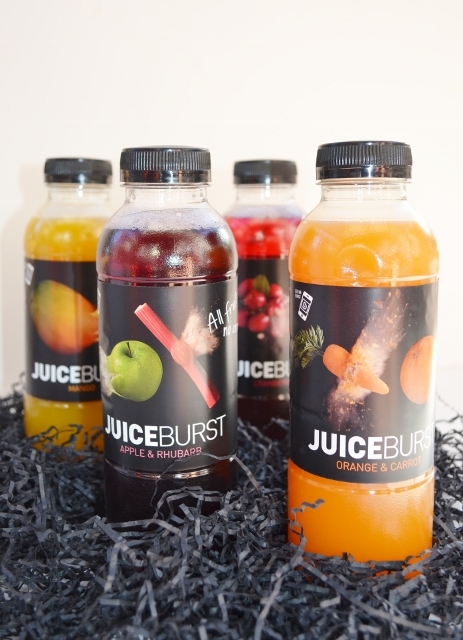 JuiceBurst is a new range of juice drinks with 14 flavours to choose from. When I tried my first bottle, I was disappointed, as I thought it was pure juice, but it is actually a juice drink. Once I got over that I quite enjoyed them as a change from water. The blood orange and the apple and rhubarb were my favourites, but the flavours could have been stronger. 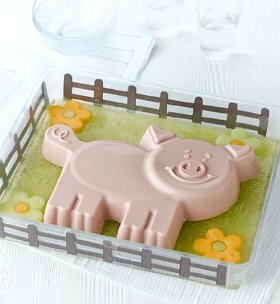 And the most cute Percy Pig Milkshake Jelly, that's suitable for vegetarians. It's pricey at £20, but something a bit special for a birthday party. The quality of food was high, just what we have come to expect from M&S. It's a great time-saving service if you're having a party, picnic or BBQ. 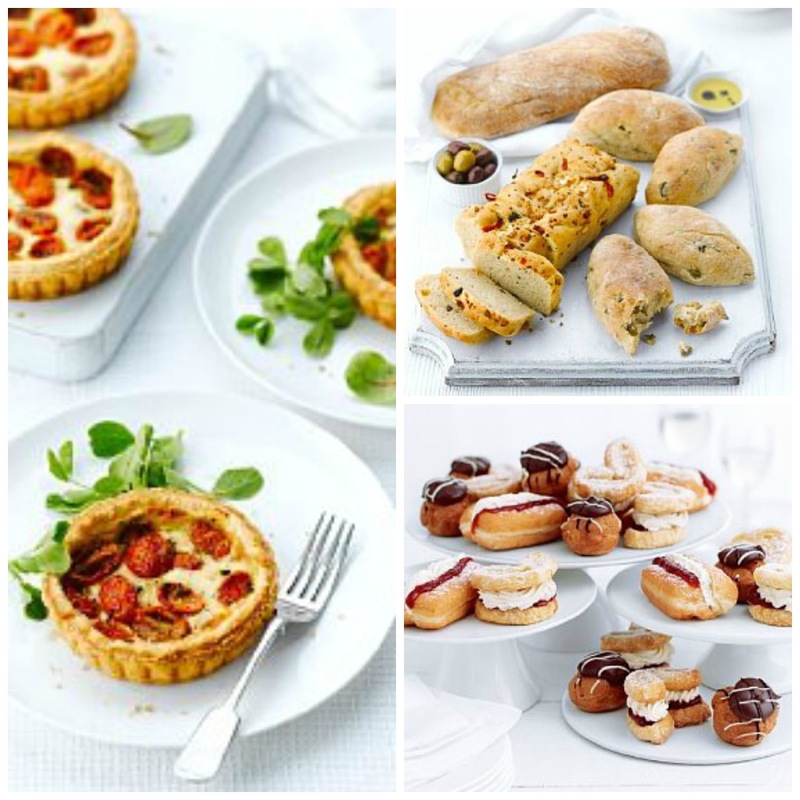 What I would do is make some dishes myself and then cut down on time and stress, by ordering in some M&S goodies. Just order online and then collect from the store. Simple! I'll be ordering a few things for Cooper's next birthday party, including that jelly. Less stress and more time with Cooper. As you can probably tell, I'm very impressed with this service. I came across these tasty snacks in Tescos. They're rather addictive! Crunchy dry roasted black beans with a spicy cajun seasoning. They're great to nibble on while drinking wine. 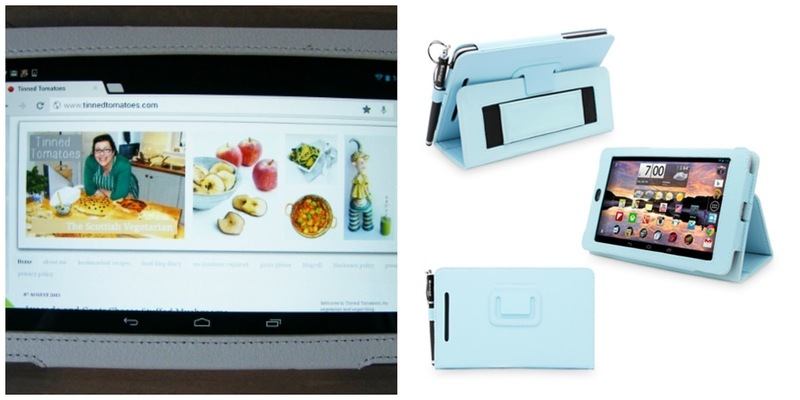 Snugg sent me a white leather case for my nexus 7. Maybe not the best colour for me, but I've managed to keep it clean so far. 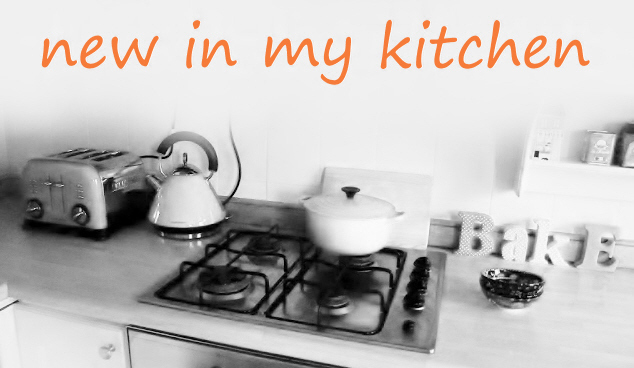 I've found it handy to take in the kitchen with me, when I want a recipe and don't want to dive back and forward to the laptop. I did try taking my Nexus in the kitchen before I had the case, but it kept falling over and getting on my nerves, so I gave up on that. I have to say this case is pretty similar to others on the market and they are all pretty expensive, if you ask me. The one thing I do like abut this one is that it has an elasticated band at the back to slip your hand through when you are holding your tablet. Now that is good design. Keeps it much steadier and it's comfortable to hold. Kitchen Nomad is a new food service, that delivers the tastes of the world to your door. Each month they feature a different country and cuisine. They hand pick ingredients from that country, package them up along with information and recipe cards and send them out to you. You can order them individually for yourself, for a gift or choose a 3 month, 6 month or 1 year subscription. My pack was Greek. I haven't had a chance to use my pack yet, but I was impressed with the contents. Dukkah Spice Mix. Kalamata Extra Virgin Olive Oil, Vine Leaves in Brine, Pickled Capers, Orzo Pasta, Cassia Bark, Organic Pressed Tomato Sauce and dried Greek Figs. While I was down in London at Food Blogger Connect I had the chance to chat about the box and heard from a rather nice blogger who has Greek family, that these are brands she would buy while there. So, that is a good endorsement. If you head over to Bangers and Mash, you will will see Vanesther's review. She used all the ingredients over one weekend. I am in awe! I think these boxes would be great to bring some new dishes and inspiration into your kitchen. I think I would wait to see what country is featured before buying on, but maybe you are more adventurous than me! Keep tuned for some Greek recipes here on Tinned Tomatoes too. Disclosure: I was sent products to review by JuiceBurst, M&S, Snugg and Kitchen Nomad. I was not expected to write a positive review and any opinions expressed are my own. I'm in love with Kitchen Nomad, I've had their last two boxes. My only concern is as a veggie, I don't want to subscribe - I'd rather wait and see what's in the box. Yeah, I'm with you there Rachel. Hello there! We can guarantee that the box content will always be vegetarian! Whereas the recipes are not all suitable for veggies, we would be glad to know which recipe you plan to create with all these goodies! I absolutely agree with you about the M&S Food to Order. 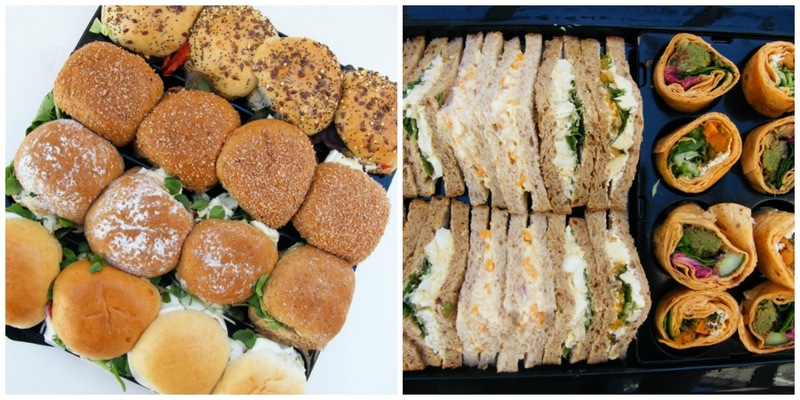 When I worked in the not-for-profit sector in London we used them from time to time when we needed to cater eg for an all day meeting of 10-20 people. They are good value for money, moderately priced and a good range of choices, good quality products. 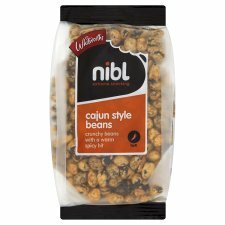 Re the Nibl beans, I'd be very very careful with them. I've never tried that particular brand, but dry roasted soy beans can give you the most horrendous stomach cramps if you eat more than about 5 a day! Oh jings Susan. Well I am glad to say I have been fine after eating them. Maybe not a whole packet at once then. They did last me about 4 sittings. That box of Greek goodies sounds wonderful Jac and has my mouth watering at the very thought. The cajun black beans sounds rather good too. I've yet to use the Greek goodies. I must get my thinking cap on. Me too, I love the veggie percys. Mmmmmmm! A similar kind of idea to the Kitchen Nomad is the Spicery which I was in to for a bit. I've not heard of that one Laura. I loved the Kitchen Nomad Greek Box, lots of really high quality products. I've ordered M&S food for parties around Christmas and always found it very good, that jelly looks so cute. Those nibbly things also look good, will look out for them. Thanks Janice! Watch out for August box, it will be released really soon! I'm not surprised your weather is better Tandy, although we have had a good summer. Kitcehn Nomad sounds wonderful - thanks for bringing it to my attention! I like your round up. That Percy Pig jelly looks amazing, might have to order one just for me! Nice finding out about new ideas int he kitchen. Absolutely love the Kitchen Nomad idea. was hoping to win one of their boxes at FBC5 but no luck.